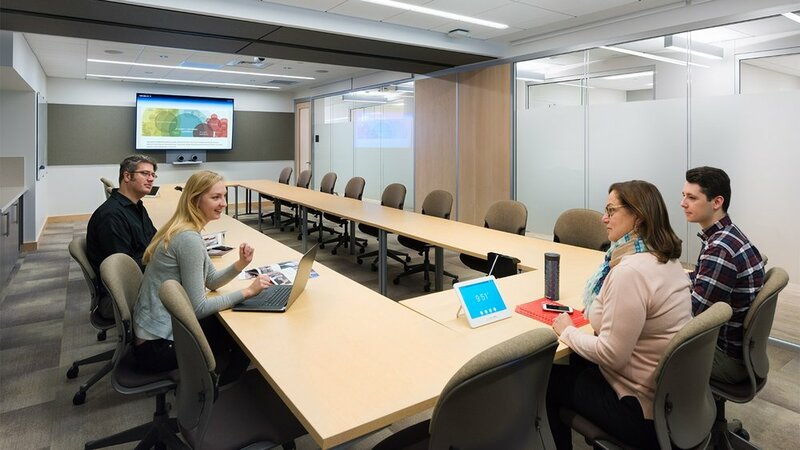 Our renovation of the 4th floor of the Harvard Institutes of Medicine building create a flexible office environment for Harvard Medical School's External Education Department. 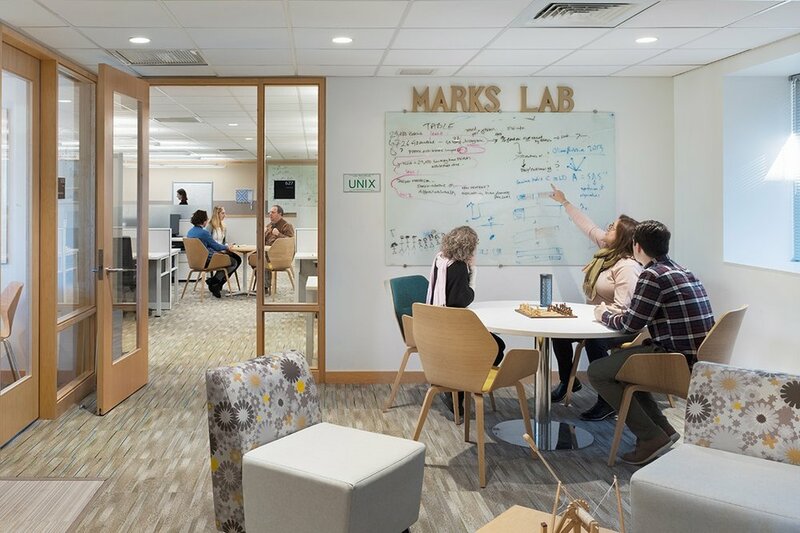 Previously a wet lab, the 18,400 sf facility was repurposed as a collaborative office environment. The project was designed and constructed using the Harvard Green Building Standards and is LEED-Gold certified. The plan incorporates the new HMS space standards developed by MDS in 2016, which include open-to-closed office ratios and conferencing options. Supporting departmental needs, the design creates a dynamic and flexible office layout, allowing for different configurations that are supported by space and furniture configurations. Workstations feature height adjustable sit-to-stand desks, accommodating different work styles and maximizing staff comfort. A large conferencing room divides into two spaces with a ceiling mounted partition, to support a range of meeting styles. Informal meeting areas in the cafe enhance the Department's collaborative culture.